If Microsoft ends the year as the world’s most valuable company, it will be the first year it closes out in the top position since 2002. And it has not been the world’s most valuable tech stock since 2010. So how did Microsoft confound the so-called innovator’s dilemma? The innovator’s dilemma supports Professor Clayton Christensen’s seminal theory of “disruptive innovation,” which explains how successful companies can do everything right, yet lose out to new competitors. Of course, Microsoft’s competitors for the top spot are also established players: Apple is 42 years old to Microsoft’s 43. Amazon, at 24 the millennial in the three-way race, still does not qualify as a new competitor. Is this because the innovator’s dilemma, at 21, is no longer relevant to today’s business environment? Or conversely, is it because Microsoft’s leadership strategy was developed with this threat in mind? 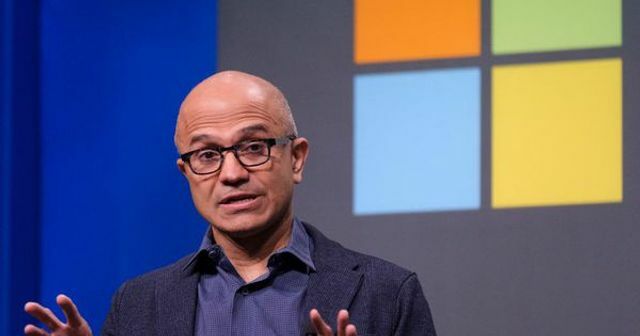 It is certainly a strategic triumph by CEO Satya Nadella, who has taken just four and a half years to transform Microsoft by focusing on the cloud infrastructure market over other parts of the business. Few expected Microsoft to surpass Apple and Amazon by returning to its business-to-business roots, focusing on platform rather than operating system, software or hardware, although its Surface products have won over enterprises and consumers. The global competitive environment has also worked in Microsoft’s favour. While Apple and Amazon are consistently the two front-runners by market cap size, both have experienced recent setbacks. Apple saw its value drop in November, falling from the trillion-dollar market capitalisation it reached in August. It also suffers from litigation issues with Qualcomm and relies heavily on China. Amazon too, has dropped back from the trillion-dollar threshold following disappointing sales figures. Both companies have rebounded, but the race is still on. The theory runs that this happens because of the diminishing value of iterations of an innovative product after a middle point is reached, while smaller, newer innovators don’t have the pressure of existing large customer bases or the need to demonstrate regular growth and can rapidly outperform in niches before assuming overall dominance. Christensen’s seminal theory of "disruptive innovation" has thus changed the way that many CEOs around the world think about innovation, and Nadella is the best current example of a leader who has tackled it head on.